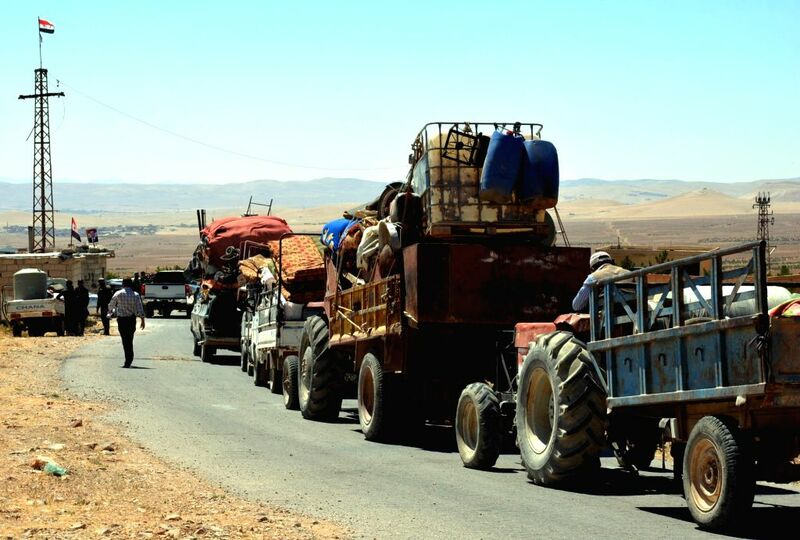 DAMASCUS, July 23, 2018 - Vehicles transporting Syrian refugees and their belongings are seen crossing the Syria-Lebanon border in Qalamoun, north of Damascus, capital of Syria, on July 23, 2018. 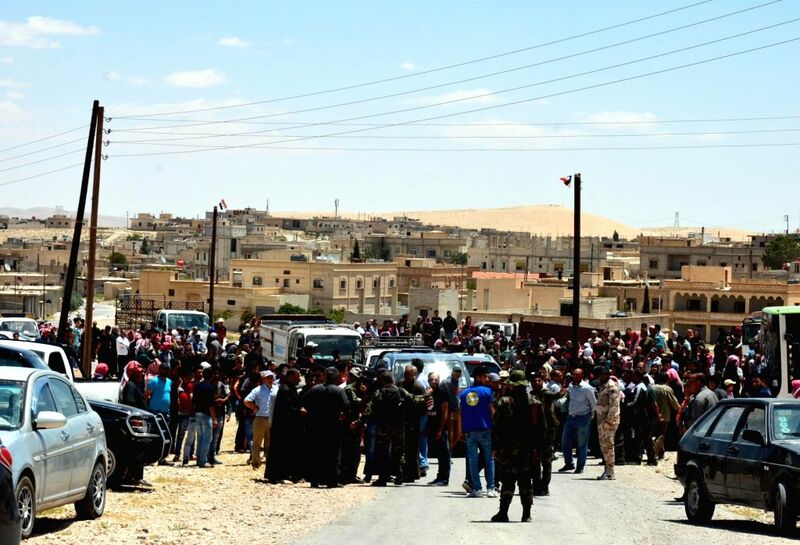 Around 850 Syrian refugees from Arsal in Lebanon returned to their homeland on Monday through Zemrani border crossing. 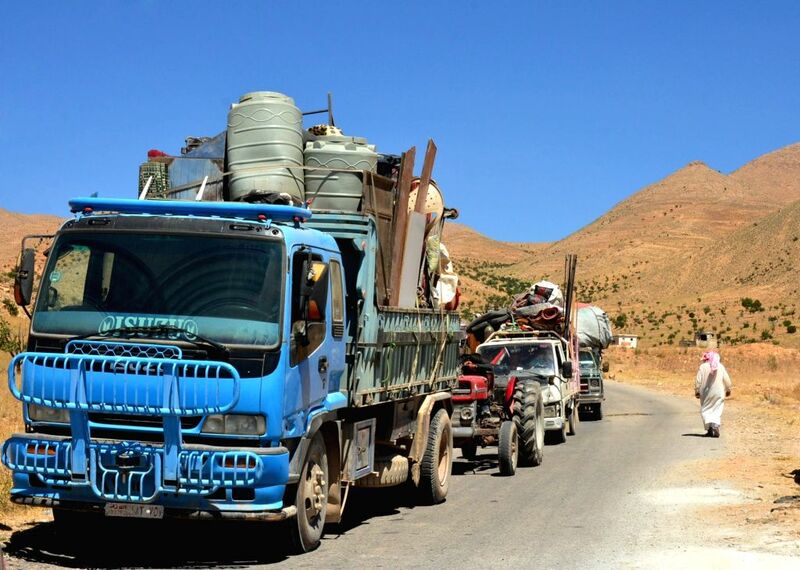 Departing Syrian refugees were registered in a center at Wadi Hemayed and they moved towards Zemrani border crossing using cars while carrying luggage, furniture, home appliances and ready-made houses, reported the Lebanese National News Agency. Syrian refugees wait to pass the Syria-Lebanon border in Qalamoun, north of Damascus, capital of Syria, on July 23, 2018.